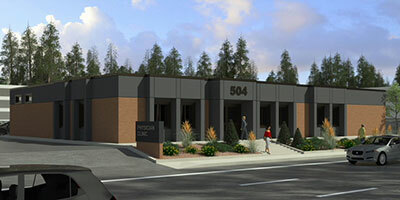 Meridian Construction & Development has just completed a 6,500 square foot remodel and addition on a Veterans Administration building at 504 E. 2nd Avenue that will provide health care for homeless vets. Meridian was the general contractor and a partner in the overall development. The project took approximately 5 months to complete with a budget of 1.4 million dollars. The building has counselor's offices and support staff to attend to the needs of Veterans. Meridian is a local general contractor that has been in business for over 17 years specializing in medical, retail, office, and educational projects. Meridian has built recent well-known projects such as Spokane Valley City Hall, Hayford Crossing Shopping Center, and Dealer's Auto Auction. Their website is meridianco.com. 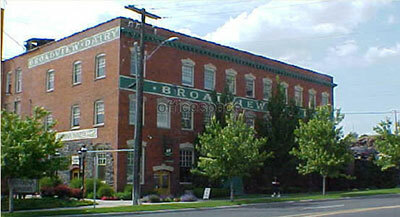 The Historic Broadview Dairy building located at 411 West Cataldo Avenue on the north bank of downtown Spokane has been sold for 5.1 million dollars. Goodale & Barbieri Company will continue to manage this mixed-use property for the new owner, Shooting the Moon II, LLC, which is based out of Seattle. The new owners have no planned changes for the 30,000 square foot building at this time. Centennial Properties has announced that Doug Yost and Bryn West have been promoted to Vice President. Yost will be Vice President of Centennial Real Estate Investment Company. In that capacity, he will oversee all building construction, land development, acquisitions and investments for Centennial. Doug joined Centennial in 2011 having worked for Weyerhaeuser. His work with Centennial includes forming a new rail-accessed industrial development in Spokane Valley, facilitating investments outside of Spokane, converting the Chronicle building into a residential use and redeveloping the M building. West will take on all leasing and operations duties for Centennial's core holdings in addition to her role as General Manager for River Park Square. Bryn has worked for River Park Square since 2008 and took on the role of General Manager in 2011. During her tenure, she has focused on re-positioning the shopping center by bringing retailers like Anthropologie, Urban Outfitters, Free People and Athleta to downtown Spokane. Her goal is to keep the shopping/dining/entertainment sector of downtown relevant and thriving. Other organizational changes include: Bobby Strahl will assume the title of Director of Development and Construction. 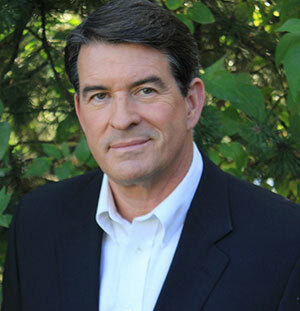 In that role, he will oversee all major construction projects and manage assets that are located outside of Spokane. Bobby has been directly involved in the M project and conversion of the Chronicle building. Bobby has a background in construction as an owner and operator of various companies. Jennifer Hatton will take on a broader real estate division role of Director of Marketing. In addition to overseeing River Park Square's marketing, she will direct the strategy for all Spokane Centennial assets. Before joining Centennial, she worked for Seattle based digital agency SMITH, where she was an account relationship and project manager responsible for strategic planning and implementation of marketing campaigns for national brands. 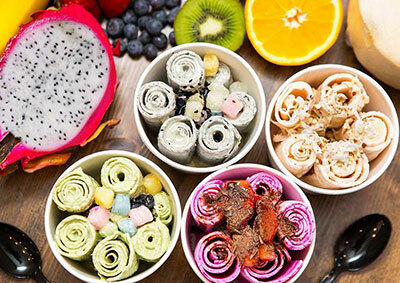 Yummy Ice Cream Rolls, opening this March at 1601 N. Division (next to Einstein Bagels) is Spokane's first establishment serving Thai-inspired ice cream rolls. This concept was created on the streets of Thailand, serving fresh, made-to-order ice cream. They roll each individual ice cream order with the freshest ingredients right in front of your eyes, meaning no preservatives or stabilizers are added. It's ice cream in its rawest form -- fresh off the plate. Customers can make their own ice cream creations or choose from several delicious combinations. They first select a base ice cream, then choose from one of about a dozen mix ins, over 20 toppings and one of 10 sauces. Yummy Ice Cream Rolls website is yummyicecreamrolled.com. You can also learn more on facebook. Spokane Community College (SCC) ranks fourth on Victory Media's Military Friendly Schools Top 10 list for large community colleges in 2018. Now in its 16th year, the Military Friendly Schools list provides a comprehensive guide for veterans and their families using data sources from federal agencies, veteran students and proprietary survey information from participating organizations. SCC earned the highest ranking out of any college or university in the state of Washington. The distinction places SCC in the top 15 percent of colleges, universities and trade schools in the country that are doing the most to embrace military students and to dedicate resources to ensure their success in the classroom and after graduation. 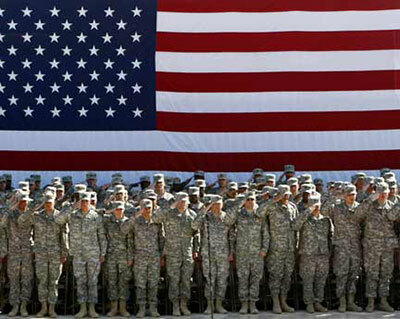 SCC serves more than 1,200 veterans every year, providing one-on-one support, help with funding options and connections to employers. These volunteer community members help further the organization's mission to eliminate racism, empower women, and promote peace, justice, freedom, and dignity for all. Local television journalist Darin Watkins has recently joined Fairway Independent Mortgage Corporation as a Mortgage Loan Officer. He is now certified and licensed in both Washington and Idaho. As part of the Fairway team, Watkins will be able to offer customers a wide range of home loan products, specifically tailored to meet individual needs, including fixed and adjustable rate mortgages, loans for first time homebuyers, FHA, VA and Conventional loans, jumbo loans, and what others might term as 'hard to do' loans. For more information, visit DarinWatkinsHomeLoans.com or call 509-381-1711.